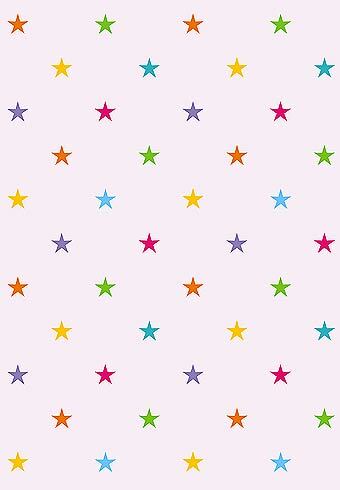 The Large Regular Star Repeat Stencil is a single sheet repeat stencil of regular stars. 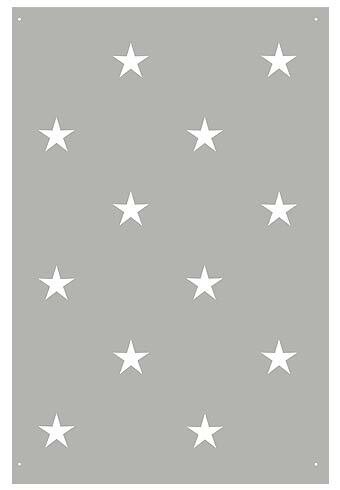 This stencil can be repeated over large areas to create a backdrop of stars on walls, or fabric for curtains – comes with easy to use repeat registration dots. 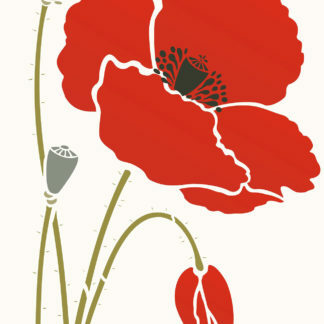 Large single sheet stencil – see size and layout specifications below. 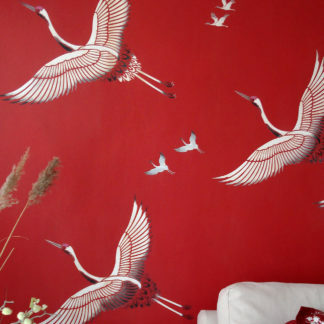 The Large Regular Star Repeat Stencil will allow you to create a continuous regular pattern repeat on walls and fabric. Use this design to create a fun backdrop of regular repeated stars – in the style of polka dot repeats – with five pointed stars! Very original and cute. Stencil in Ice White or Evening Primrose Stencil Paint on dark backgrounds with graduating colours in black, blue, indigo or turquoise, with Pearl, Silver Lights or Antique Gold Metallic Stencil Paints for reflective lustre, or use our Glitter Paints for children’s rooms. 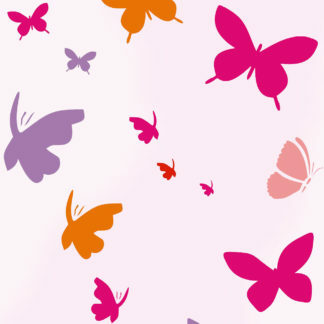 Or use bright fun colours to create a multi-coloured polka dot effect on pastel backgrounds such as pink or aqua. 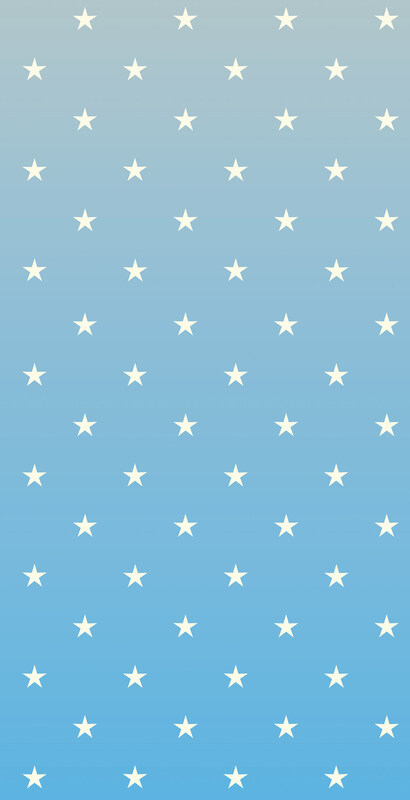 Above top – four repeats of the Large Regular Star Repeat Stencil, shown repeated on a pale blue to pale grey graduated background. Stencilled in Ice White and Pearl Metallic Stencil Paint (see bottom right for graduated techniques). 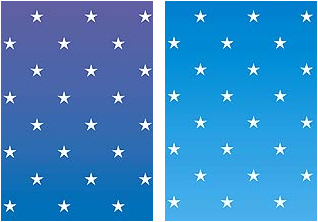 Above – the Large Regular Star Repeat Stencil shown repeated in Ice White Stencil Paint, on a lavender-blue background (above left), and a turquoise to blue graduated background (above right). See graduated painting technique bottom right. 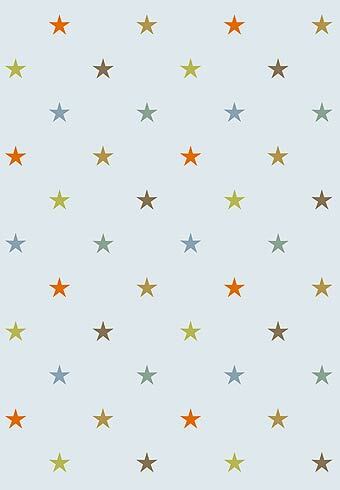 Large Star Cluster Stencil – large cluster of eight pointed stars. 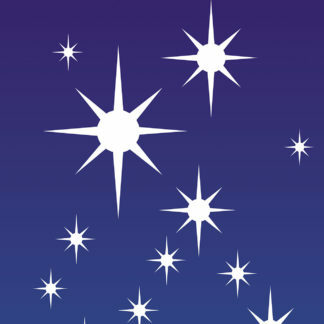 Above – four repeats of the Large Regular Star Repeat Stencil in Ice White Stencil Paint on a graduated background of blue to turquoise (see below for graduated techniques). 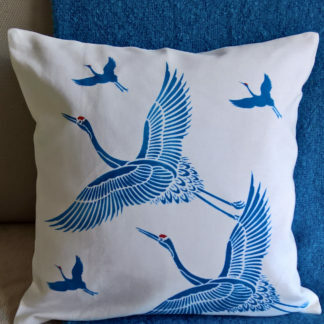 Use Pure White Fabric Paint on navy or black cotton fabric to create this effect for curtains. 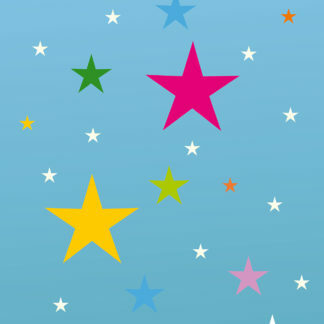 Above – four repeats of the Large Regular Star Repeat Stencil in a multi-coloured palette. A mixture of any bright colours will work well for this. Our example shows six different colours on a pastel pink colours. 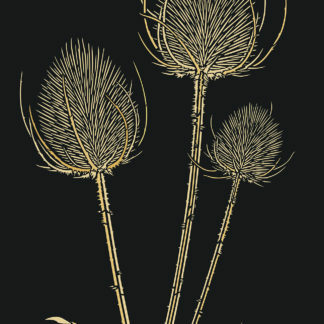 Motif colours used are Seville Orange, and Verbena, Harvest Gold and Kingfisher, French Lavender and Cerise Stencil Paints – repeat the same colours for each successive stencil repeat. This single sheet stencil is made of 125 micron mylar. 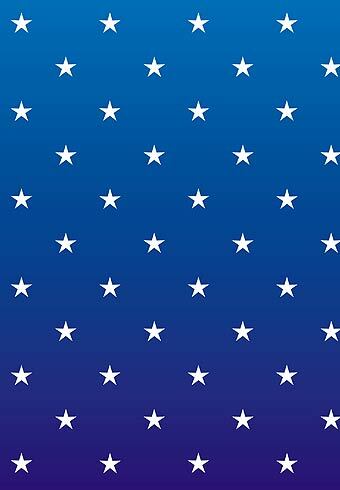 The Large Regular Star Repeat Stencil has easy to use repeat registration dots for aligning successive repeats. 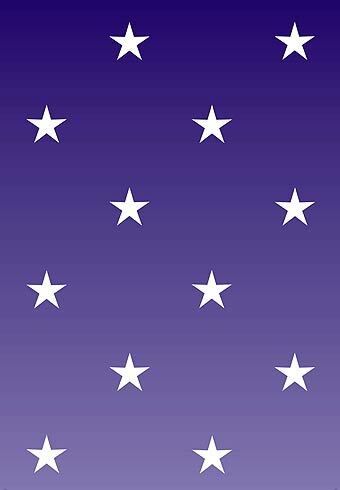 Each star is approximately is 6.7cm (2 1/2″) across and approximately 20cm (8″) apart on a sheet 90cm (35 1/2″) deep x 60cm (23 1/2″) wide. 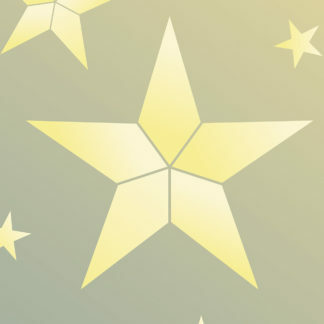 Left – the layout of the stencil sheet of the Large Regular Star Repeat Stencil – also shows the four repeat registration dots for easy repeat alignment.